Happy 2014 everyone! 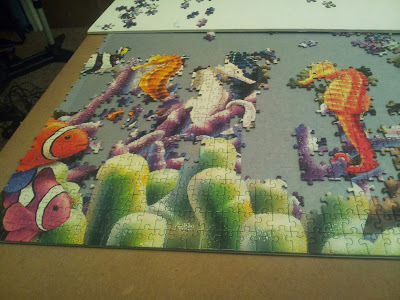 The year is off to a good start as I have been lucky enough to get in a little bit of puzzling time this week. 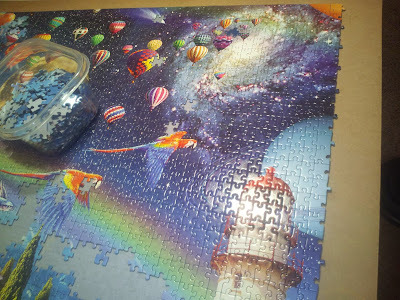 Cole is sleeping through the night most nights so I've been getting a little more sleep lately which certainly helps with enabling me to get in some puzzling time once in a while. I haven't posted new progress pictures in quite some time I know, so here are the latest and greatest. My son Derek tells it best in this picture, "Oy Mommy - you're never going to get this thing done!" I also decided to change the look of the blog a little bit. Got tired of the previous one - it just looked kind of cold. I really would like to find a template that is more puzzle related, but so far I haven't had any luck finding a puzzle template. So, until that time, I shall have to continue to change up the look and feel once in a while. Hope everyone likes it. Thanks for sticking with me for so long! 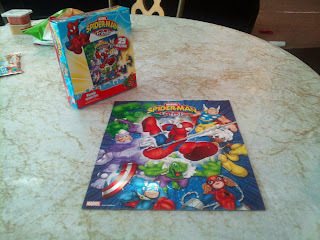 What Do Spiderman and Snoopy Have in Common? 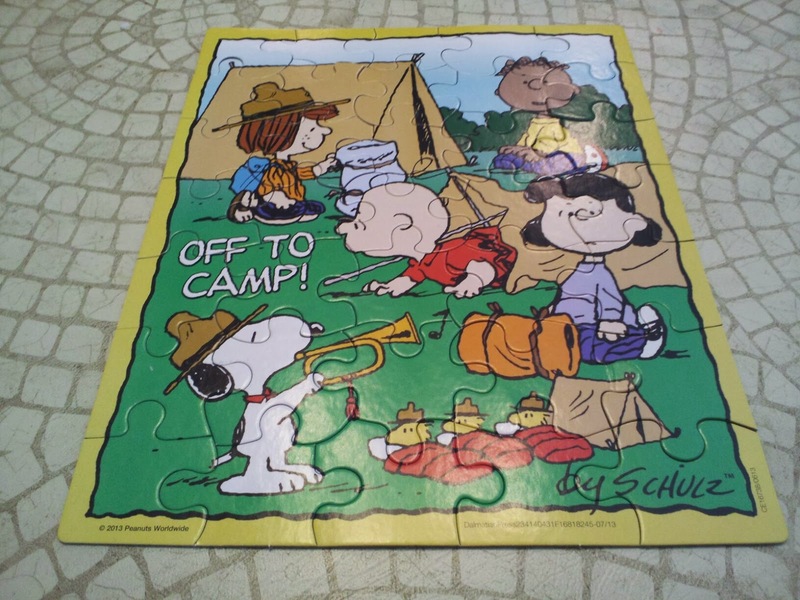 a Peanuts theme featuring Snoopy was 35 pieces, and almost made me want to go camping - not quite though! LOL The other one, Spiderman with friends and foes, was only 25 pieces. I'm not the superhero aficionado that my husband is, but apparently Derek is following more in his dad's footsteps than mine. He pointed to the purplish looking guy on the left and said, "Who's that?" When I said, "I don't know sweetie - we will have to ask daddy when he gets home", Derek responds with, "Oh, I think it's Rhino, Mommy." I'll be darned if he wasn't right! 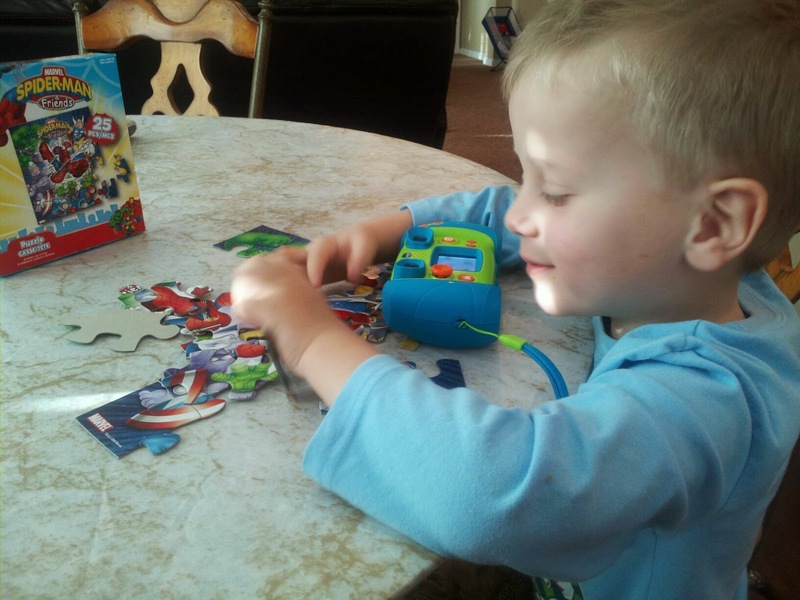 That kid amazes me sometimes. 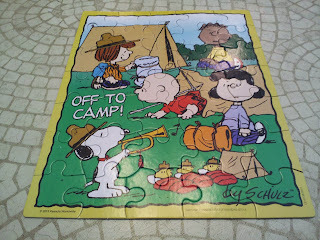 After completing the puzzles, I wanted to take pictures to put on the blog of course. 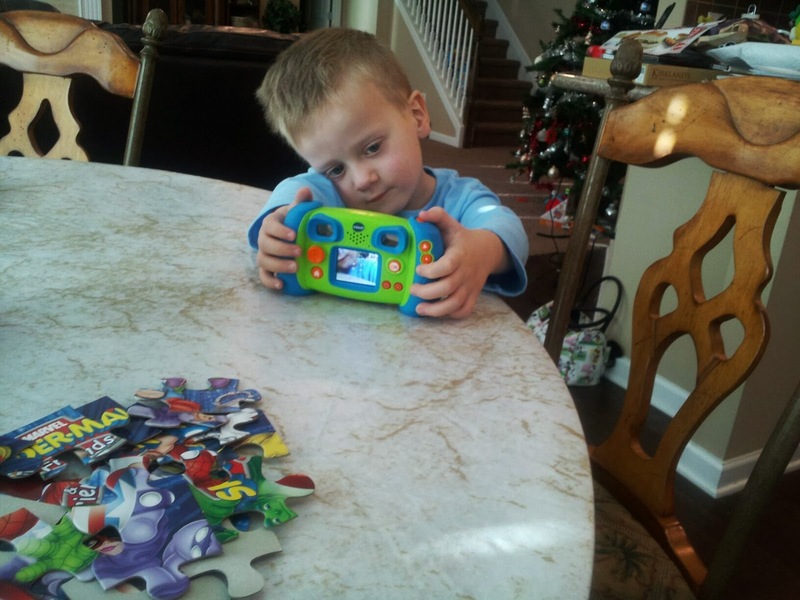 Well, that just wouldn't do - Derek needed to get involved in this process too now that he has his own digital camera. Here are the results. Somehow he felt the pictures would be better if he took the puzzle apart. Oh well, at least it was complete for a few minutes anyway. Good thing he's so stinking cute! 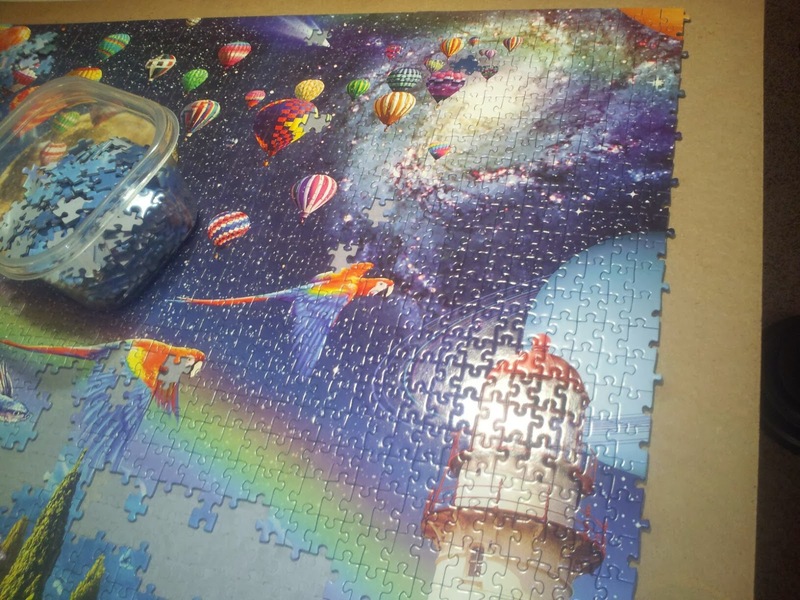 New Career Opportunity -- As a Puzzle Reviewer?